Oymyakon in Russia's Yakutia, known as one of the coldest towns on the planet, has been hit by unusually cold weather, with the temperature reportedly plummeting to —68°C (-90.4°F). Local emergency services remain on heightened alert in Yakutia where secondary schools were earlier closed due to the record chill, with kids banned from being transported by road from their places of residence. The Russian Emergency Situations Ministry's regional office reported that all utility facilities are operating as normal. Tourists and hunters are advised to wait out the weather where they are. 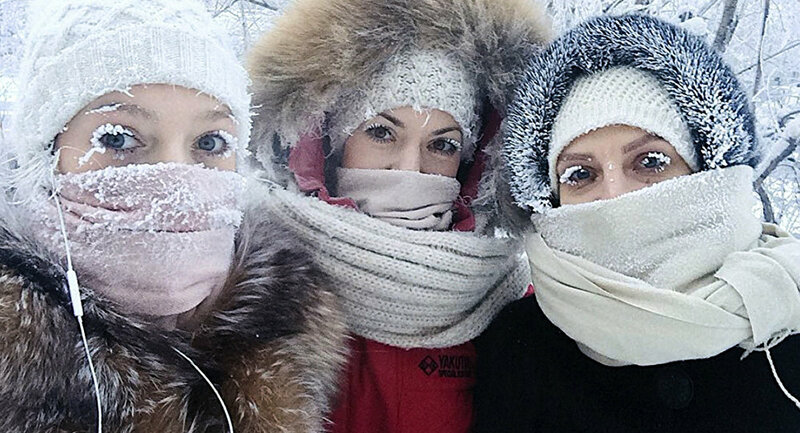 Biting frosts failed to seriously ride roughshod over the lives of Yakutia’s hardy residents who continue to publish photos on their Instagram accounts showing the funny side of the record freeze. Some people even defied the weather to enjoy open-air bathing, while others preferred to take spectacular photos of the nature and animals. This week's temperature in Oymyakon reportedly beat the record of February 6, 1933, when a temperature of —67.7 °C (-89.9 °F) was registered at the town's weather station.